Glazed ceramic tile is one of the most popular choice for our house during the decorate. It with rich size:300*300 mm, 600*600 mm, 800*800 mm and patterns for us to choice. YHH Group wholesale ceramic tile and keep researching and developing latest patterns for tiles. We have thousands of patterns to choice. Similar production:Rustic Porcelain Tile, Find your favourite types of ceramic tiles! 2. Flooring, wall tiles for kitchens, halls, corridors, balconies, terraces and other areas. Wholesale Ceramic Tile made in China is now being available at YHH, that are rich in design and comes straight from the factory. When buying China Ceramic Tile from YHH, Ceramic Tile Manufacturer of repute and having over 20 years’ experience in producing value added ceramic tiles, you get a host of benefits. 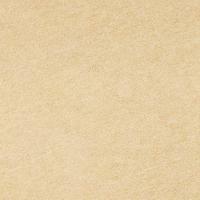 Free Example for Yellow Glazed Ceramic Tile YHET6620! Get it here!